The Spent Mayfly is a good representation of the dead or dying natural. Tail : Three golden pheasant tail fibres. Body : Natural raffia or white floss silk. 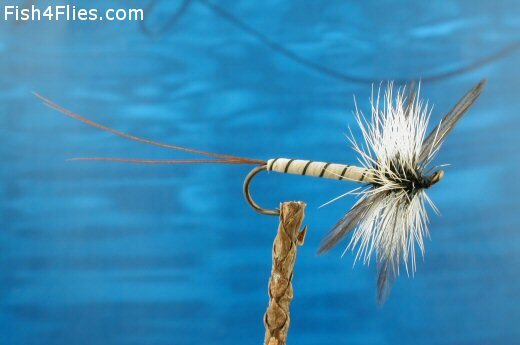 Wing : Four dark blue dun hackle points tied "spent". Currently there are no comments about the Spent Mayfly fly pattern from other fly fishermen yet.